Michelle Brown is a senior advisor for the Elections and Political Processes team at the National Democratic Institute. Michelle works on NDI’s Open Election Data Initiative, which advocates for electoral data to be made open, and provides tools and resources to help citizen organizations use data to hold election management bodies accountable. This Open Data Day, Sign Up to Design Icons at Our Election Iconathon! 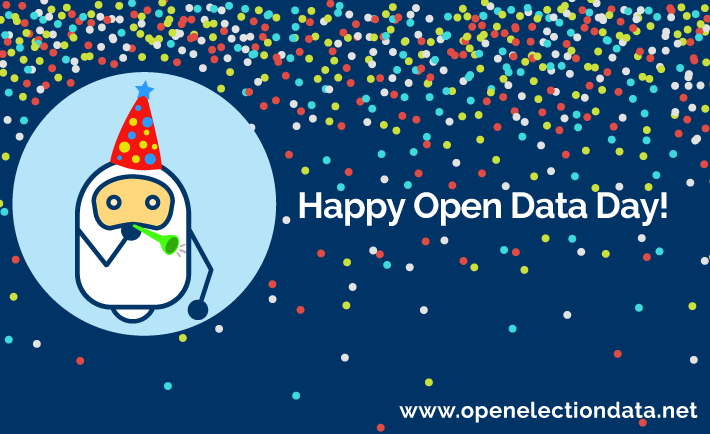 First off, happy Open Data Day. To celebrate this day of data liberation, we at NDI’s Open Election Data Initiative invite you to to participate in our Election Iconathon event on Saturday, March 19th where we will create icons that bring election data to life. Slots are filling up fast, so we encourage you to sign-up before they’re all gone. Throughout our work we've found that images, often through infographics, can tell memorable stories about elections. So we'd like to invite you to help us create icons that will do justice to the data our election monitoring partners collect and publish. 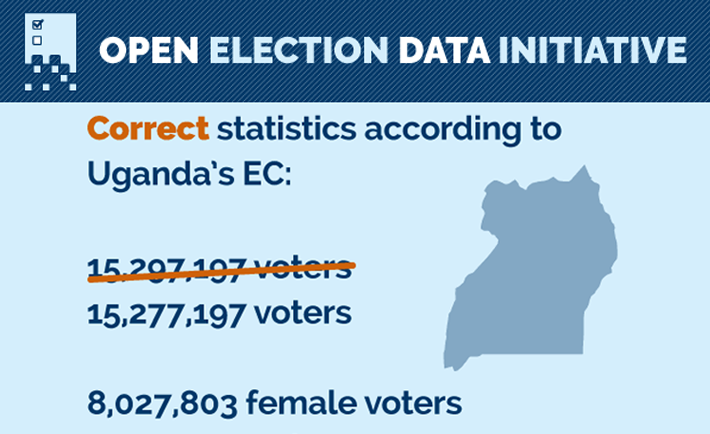 We here at the Open Election Data Initiative noticed yesterday that the Election Commission of Uganda made voter registration information available for free at a granular level. Naturally, we were excited to see those two open data principles at work. The Election Commission published a file with the number of registered voters for each polling station along with the number of females and males registered at each station. The problem: they posted it as a dreaded PDF file, which is not an analyzable format. 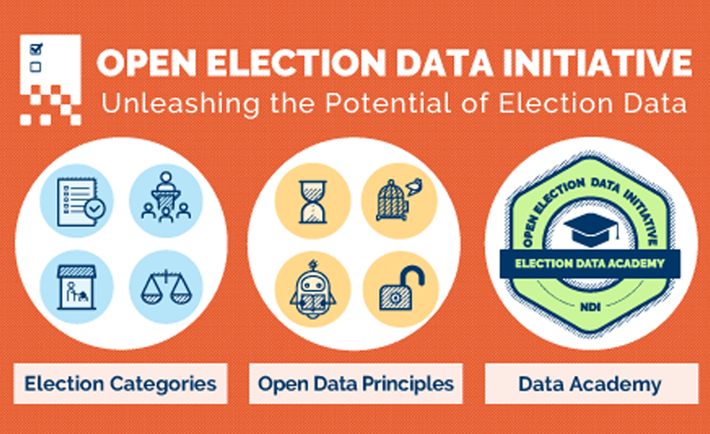 NDI is excited to announce the launch of the Open Election Data Initiative. The goal of the initiative is to ensure that citizen groups have access to election data that can give a true picture of an election process, including how candidates are certified, how and which voters are registered, what happens on election day, whether results are accurate and how complaints are resolved. The Open Election Data Initiative, openelectiondata.net, adapts open data principles that are designed to enhance government transparency in other areas, such as service delivery, to elections. The initiative encourages governments to be more accountable and citizens to take a more active participatory role. While primarily geared toward civil society -- including election monitoring organizations, many of which are partners of NDI -- the initiative can also inform the efforts of political parties, election management bodies and other actors concerned with electoral integrity. 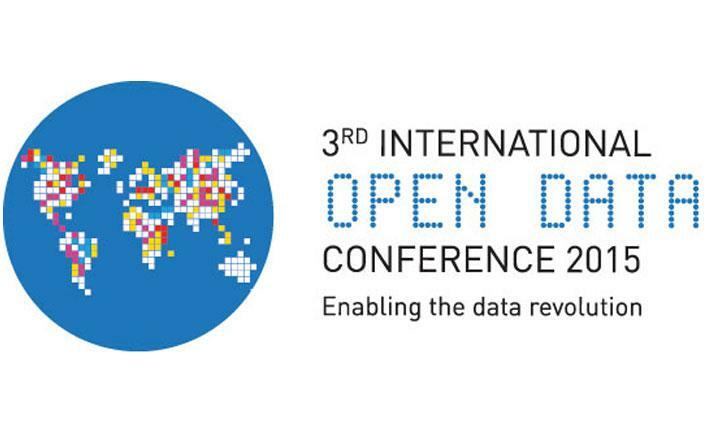 This week, NDI joins thousands of open government advocates, civic hackers, policymakers and journalists in attending the 3rd Annual International Open Data Conference (IODC) in Ottawa, Canada. It is going to be a week of workshops and discussions exploring open data issues and strengthening coordination among open data initiatives. Throughout the week, NDI will be hosting or participating in several events where we'll address how citizens can use data to make government more transparent and accountable. Whether your interests are in opening up election data or in promoting a parliamentary code of conduct, we'd like to talk to you at these events.